PALMDALE – The first four Airborne Astronomy Ambassador (AAA) educators returned safely to Earth at Palmdale, early Wednesday morning (Feb. 13), after completing their initial flight on NASA’s Stratospheric Observatory for Infrared Astronomy, or SOFIA. 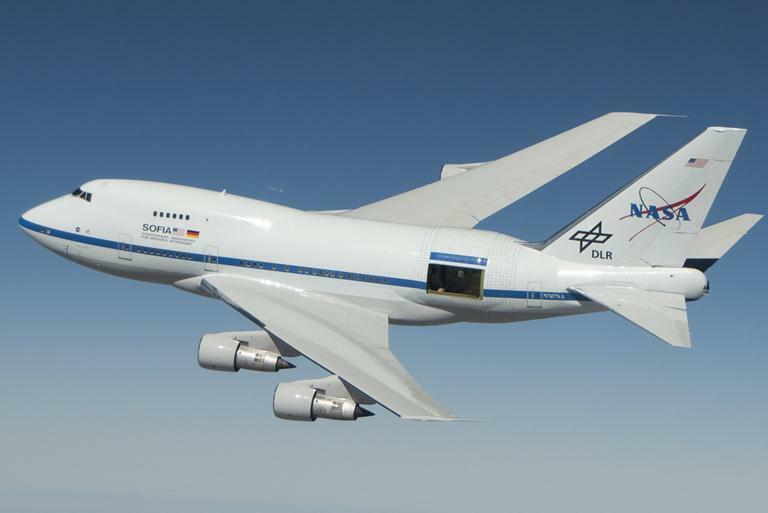 That flight launched the AAA program’s first full year of operations, during which 26 educators from classrooms and science centers across the United States will fly on the SOFIA as partners with scientists conducting astronomy research using the airborne observatory. Ira Harden and Vincente Washington, both from City Honors College Preparatory Charter School in Inglewood, Calif. The astronomers on the flight included Juergen Wolf and Doerte Mehlert of the German SOFIA Institute in Stuttgart, Germany and Ted Dunham of the Lowell Observatory in Flagstaff, Ariz. The SOFIA is a modified Boeing 747SP jetliner that carries a telescope with an effective diameter of 100 inches (2.5 meters) to altitudes as high as 45,000 feet (14 km). Flying above Earth’s obscuring atmospheric water vapor, scientists can gather and analyze infrared light to further our understanding of puzzles, such as the processes that form stars and planets, the chemistry of organic compounds in interstellar clouds, and the environment around the supermassive black hole at the center of the Milky Way Galaxy. The Airborne Astronomy Ambassadors program is a yearly professional development opportunity extended to educators through a competitive, peer-reviewed process. Teams of two educators are paired with groups of professional astronomers who have won a parallel competitive process to use the flying telescope for their research projects. Each educator team will fly on two 10-hour missions that depart from and return to NASA’s Dryden Aircraft Operations Facility in Palmdale. The current cohort of educator teams will continue flying through the summer of 2013. 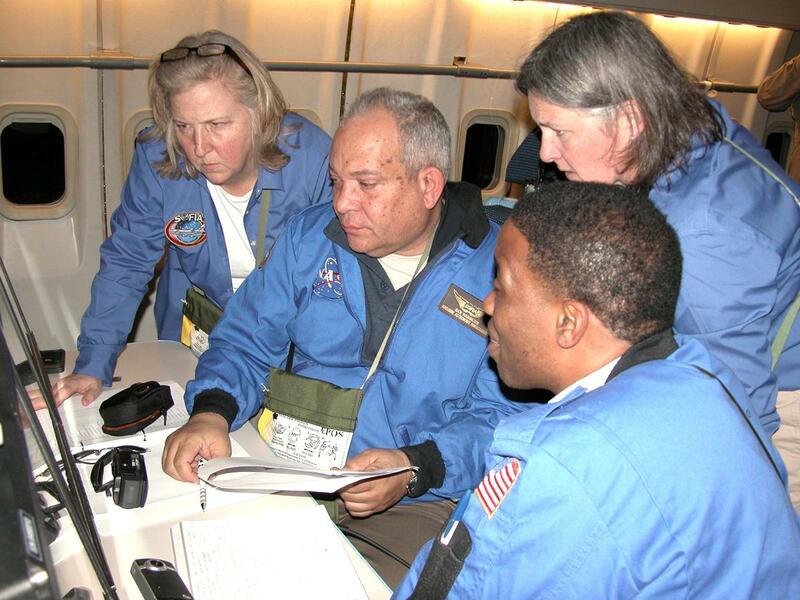 Information for educators wishing to apply for AAA flights in 2014 will be available starting March 1, 2013, at http://www.seti.org/sofia. SOFIA is a partnership of NASA and the German Aerospace Center (DLR). NASA’s Dryden Flight Research Center (Edwards, Calif.) manages the SOFIA program. SOFIA is based at NASA’s Dryden Aircraft Operations Facility (DAOF) in Palmdale. For more information about SOFIA, visit http://www.nasa.gov/sofia and http://www.dlr.de/en/sofia.